The Facebook earnings report due out Thursday is sure to bring excitement to this otherwise slow summer earnings season. Facebook Q2 earnings will come out after market close Thursday, in the Menlo Park, CA-based company's first report since going public. 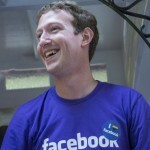 There is no doubt that Facebook (Nasdaq: FB) would love to put its fiasco of an initial public offering behind it. But since the company's disappointing IPO was marred by technical glitches and concerns about its valuation, Facebook will be under intense scrutiny. 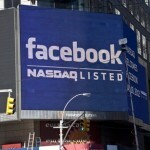 Analysts polled by Thomas Reuters expect Facebook Q2 earnings of 12 cents a share on revenue of $1.1 billion. Those are the minimum numbers needed to hit the lofty $100 billion valuation Facebook claimed it was worth when it debuted on May 18. Since expectations have been lowered, analysts think Facebook earnings will hit the Q2 target. "We think it is unlikely that Facebook will miss Q2 consensus estimates, which dropped after May 9's revised Form S-1," investing firm Wedbush said in an earnings preview report on the social network. "The underwriters likely advised Facebook to beat Street expectations for its first public quarter; this became more achievable now that estimates have declined." Just as important as the numbers will be if Facebook delivers answers to all the questions that shareholders have been dying to ask. Here are the three things- besides how Facebook stock reacts - you should watch when the Facebook earnings report comes out Thursday.